If you intend to work for and residential lender or mortgage broker, you are required to take and pass a 20-hour pre-licensing course as part of your licensing requirements. 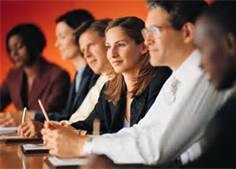 Learn in a classroom environment and retain your training experience. Next Class Date April 5-6-7th We only offer this classroom training once a month so register early. Join Kathy Lewis the President and Founder of Capstone institute as she assists new originators into their new careers with a private webinar covering the necessary skills they'll need to start their transition into mortgage lending. This training curriculum is designed to bring new loan originators and processors up to speed faster and more efficiently than any other program. This is an 8-day program based on 5 hours per day. Training Officers should consider this training to enhance their current onboard programs. The CMS designation was first created by Capstone in 1998. The purpose of the designation was to have a prescribe mortgage curriculum which would bring employees with no mortgage background up to a professional competency level in a few weeks versus 3 to 4 months of on the job training. 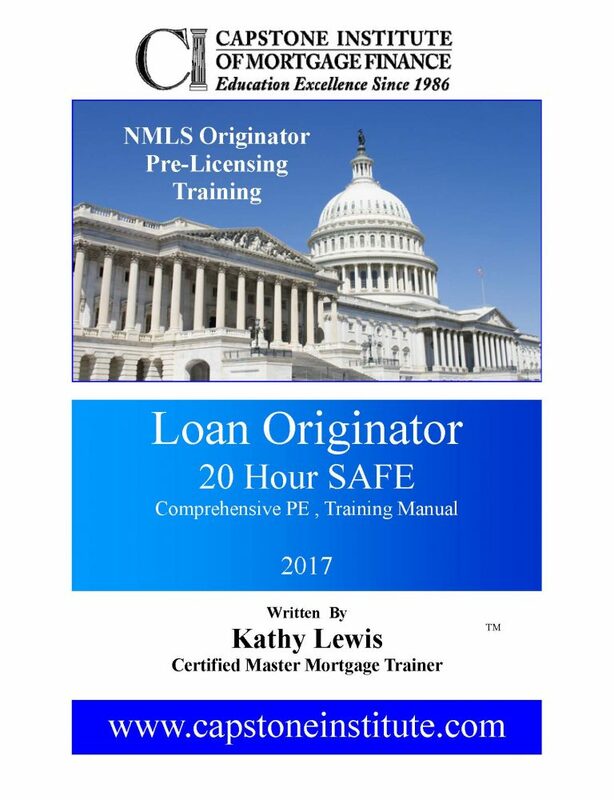 For over 30 years your instructor, Ms. Kathy Lewis, the Founder and President of Capstone institute has been offering her FHA underwriting training to the top lenders and banking institutions in the United State. We guarantee your satisfaction or your money back. $545.00 upfront with $250.00 / month for 2 months Complete On-Board Training For New Originators. After an MLO completes their very basic NMLS 20 hour pre-licensing training; they're legal to hire but unfortunately non-competent to perform in their job, duties, responsibilities and earn a respectable income.